Happy Holidays! It’s finally Christmas season, and you are probably thinking about decorating your home soon with snowmen, lights, and garland. 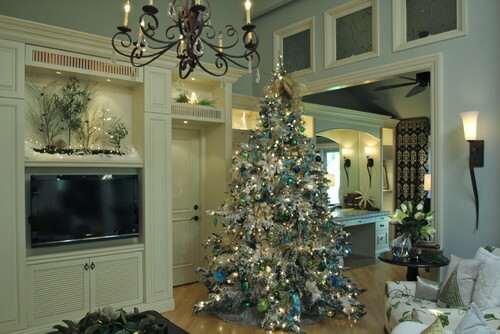 No matter what your holiday tradition might be, we can provide you with many options for decorating this holiday season without taking too much space. Set by the fire or get yourself a cup of hot chocolate, and get yourself ready to see these festive ideas! Christmas lights are a staple for anyone’s Christmas decorating. Lining your manufactured home with icicle lights can be a really trendy look, or you can also use large light-bulb strings to give off a more ambient light with a soft vintage look. Lights can also be used indoors as well, whether it’s strung up on your walls, lined on your doorways or mantles, or wrapped around pillars. When lights are inside your manufactured home, it can make it seem brighter, bigger, and more spacious. One of the most important things during the Christmas season is making sure that you choose a tree that’s not too big for your home. When looking for Christmas trees, make sure the size is proportionate to your living room. If you do get a big tree, it may make your living room much smaller than it is. The easiest way to decorate the dining area is to place down a festive tablecloth and display a charming centerpiece on top of the table. This can include a variety of examples such as a glass vase filled with garland and snowflakes or an elaborate bowl filled with cookies. Draping wide ribbons on the back of the dining room chair can also create a comfy and stylish seating place for your guests. 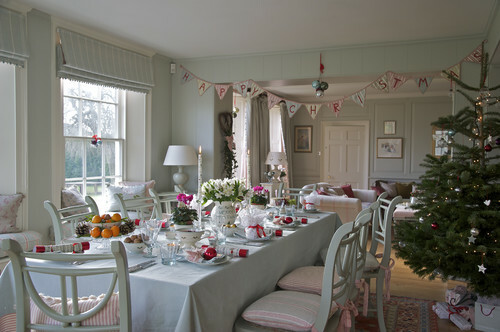 You can also hang ornaments from the cupboards or shelves to make your dining area look trendy this season! 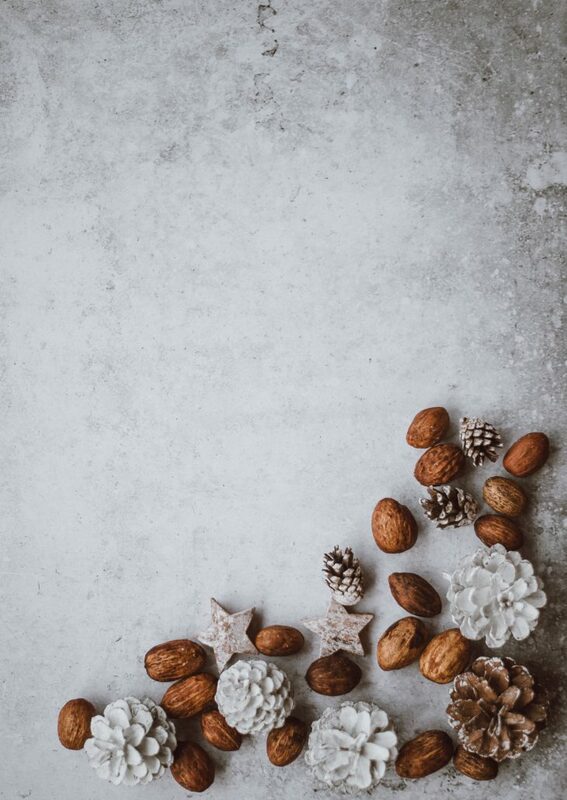 Make your home feel cozy and filled with Christmas vibes by adding holiday scents around your home! Christmas is usually associated with the smell of cookies, pine, cinnamon, spices, and so on. Adding peppermint oil in a spray bottle of water can be sprayed on top of your furniture and around your rooms. Baking gingerbread cookies or house can also help your guests enjoy the scent of Christmas wafting from the oven.